New York City, NY (March 10, 2015) – Colgate-Palmolive Co. announces the publication of the textbook Periodontal Disease and Overall Health: A Clinician’s Guide, Second Edition. The 370-page volume is an update of the original 2010 edition and includes contributions regarding the periodontal disease and oral systemic relationship from 32 renowned clinicians and scientists representing both dental and medical sciences. 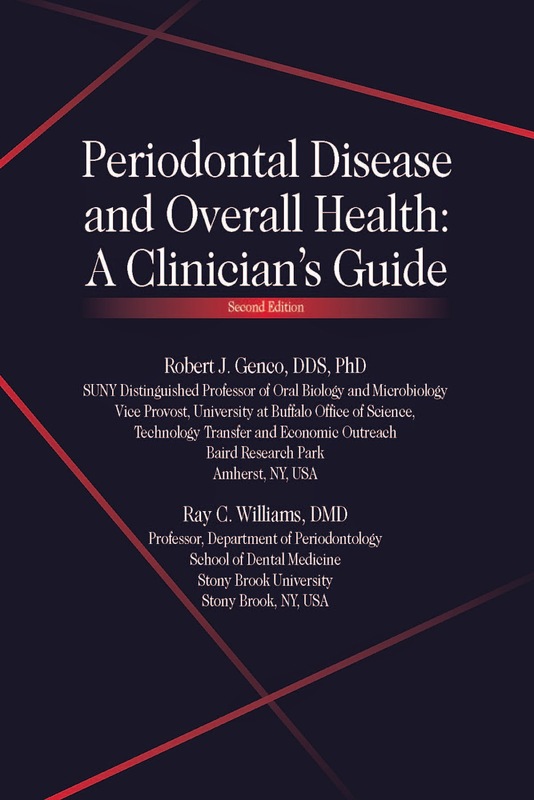 Periodontal Disease and Overall Health: A Clinician’s Guide, Second Edition provides the latest information and clinical studies pertaining to the oral systemic relationship and is specifically directed at understanding how periodontal disease might affect distant sites and organs, therefore having an effect on overall health. Each chapter details the latest findings on the relationship between oral and systemic diseases and the co-management of patients for optimal oral and physical health. Renowned clinicians and scientists worldwide have extensively studied the relationship of periodontal disease to overall health and disease, and several conferences and workshops have been convened to examine the evidence to date. At one of the conferences held in January 2008, the need for a textbook was discussed that would summarize and put into context the current information on periodontal disease and systemic disease together for students of dentistry and medicine. The idea was brought to fruition when the Colgate-Palmolive Company agreed to support the textbook through an educational grant to the publisher. The book was published in Yardley, Pennsylvania by Professional Audience Communications, Inc., publishers and consultants in dental marketing and research communications. Periodontal Disease and Overall Health: A Clinician’s Guide Second Edition will be freely accessible in PDF format at www.colgateprofessional.com, as well as on the Colgate Oral Health Network (http://www.colgateoralhealthnetwork.com). An eBook version is also in development for the release in the near future.